Lovely day for it! We’ve got two We Happy Few Time Capsules, and we’re looking to give them away to two lucky winners! Enter to win between now and 10am PT/1pm ET on August 9th, 2018! Facebook: You must currently have or be willing to sign-up for a Facebook account. 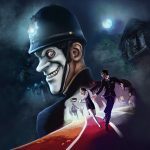 Follow the We Happy Few Facebook account, and simply comment on the We Happy Few Time Capsule giveaway post between now and the end date. Twitter: You must currently have or be willing to sign-up for a Twitter account. 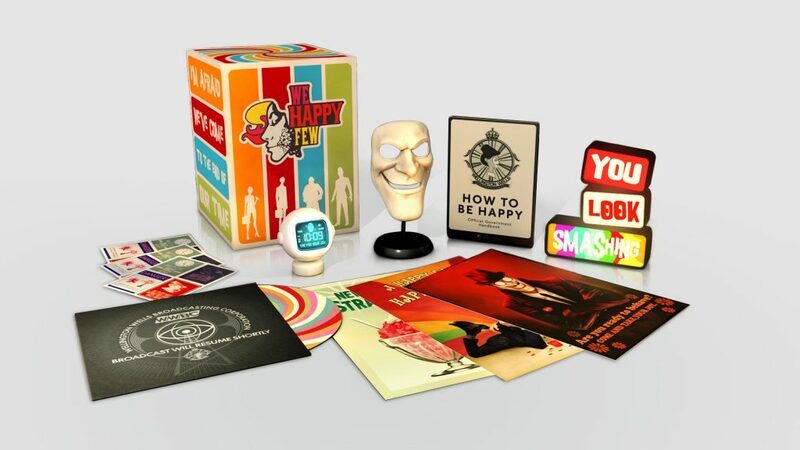 Follow @WeHappyFewGame, and quote tweet the We Happy Few Time Capsule giveaway tweet with the hashtags #WeHappyFew and #Giveaway included. You’re allowed one entry on each platform, totaling two entries. Extra entries from the same user will not be counted. Winners will be randomly drawn from the entry pools on or about Thursday, August 9th. One winner will be chosen from Twitter, and one will be chosen from Facebook. Winners must be legal residents of the US and Canada. The full rules and regulations can be found here. Please read them thoroughly before entering the giveaway.